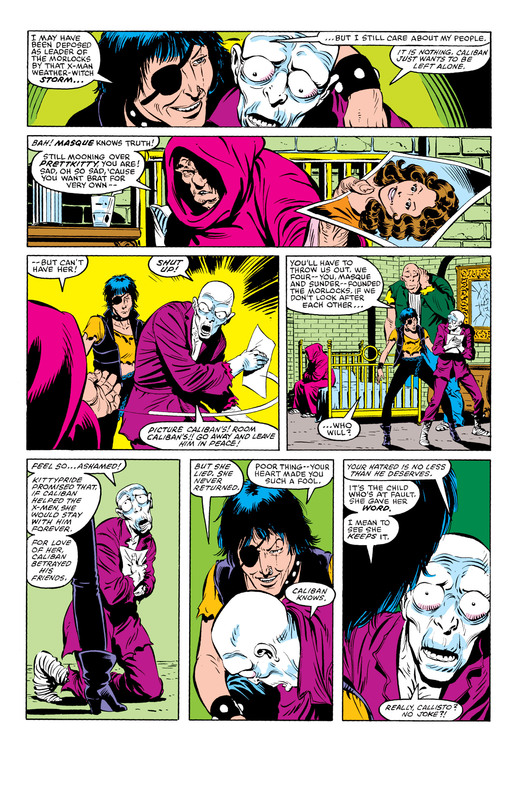 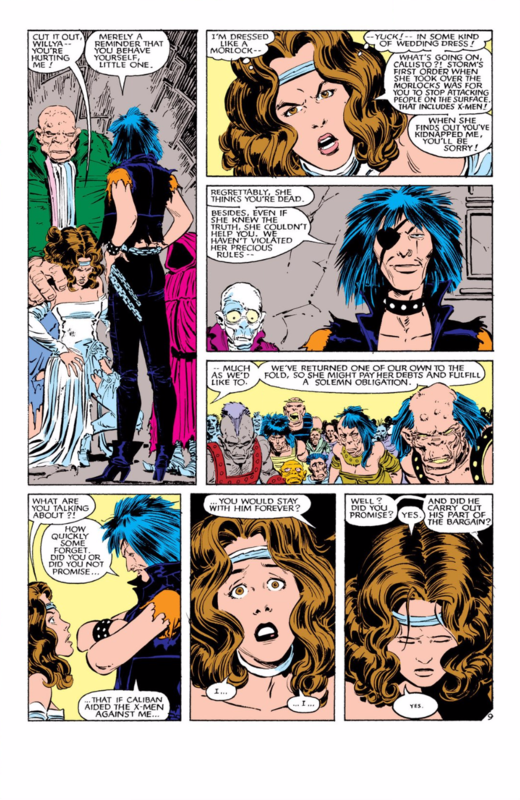 Caliban first appeared in Uncanny X-Men #148. 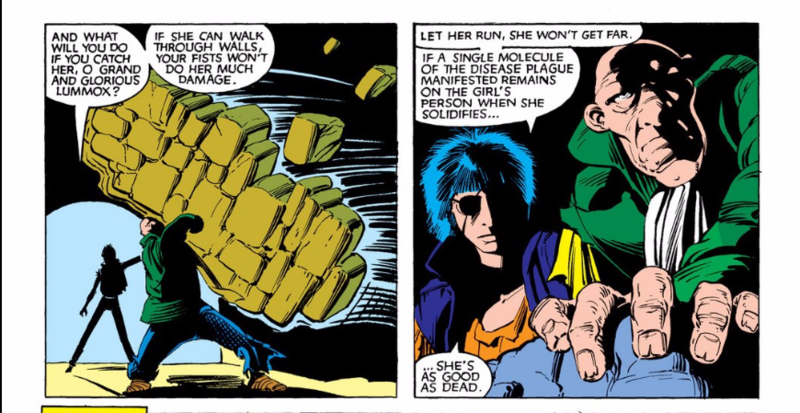 In #169, Angel is kidnapped by the Morlocks and the X-Men go to the sewers to rescue him. 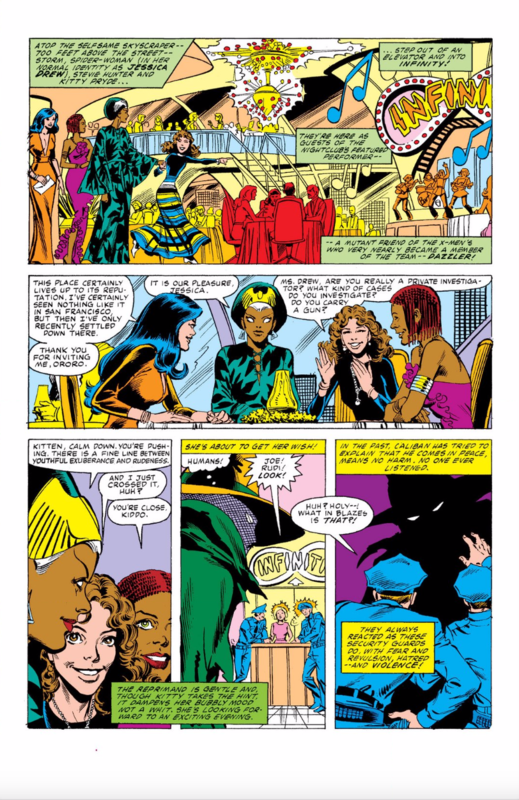 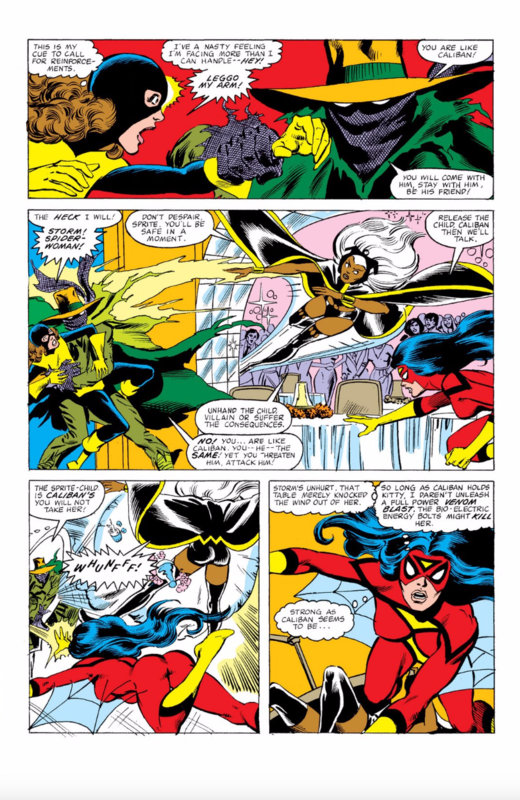 Storm ends up being the one to challenge Callisto; the fight ends when she stabs Callisto in the heart. 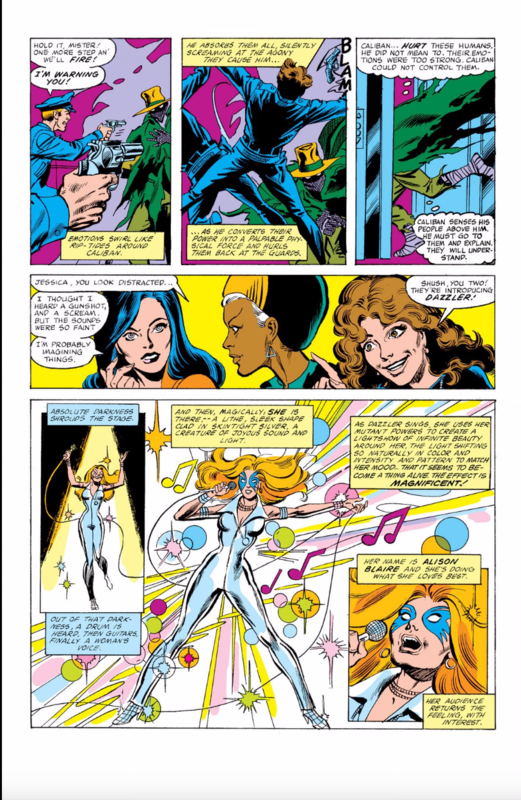 Callisto is planning on using this to provoke a fight with the X-Men and get her leadership back from Storm. 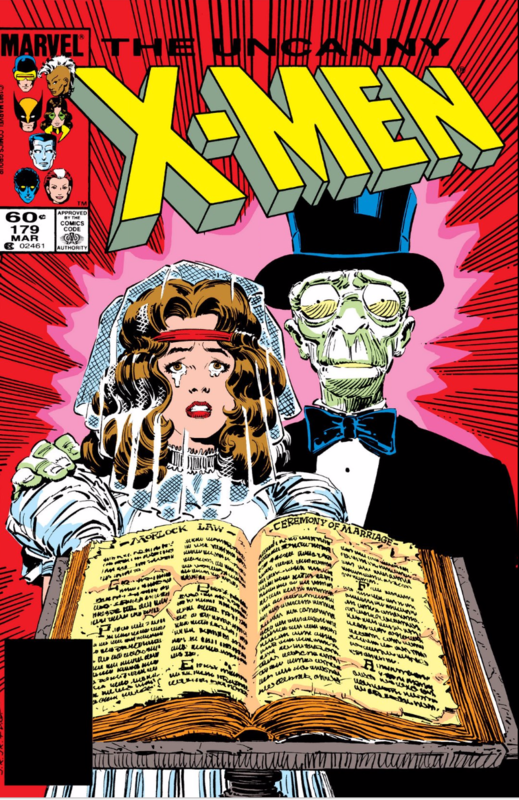 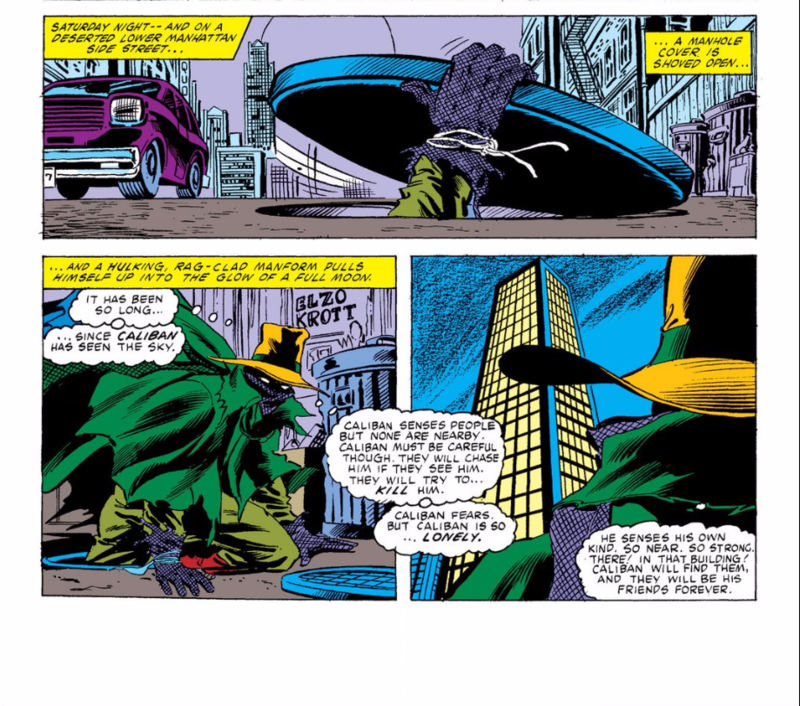 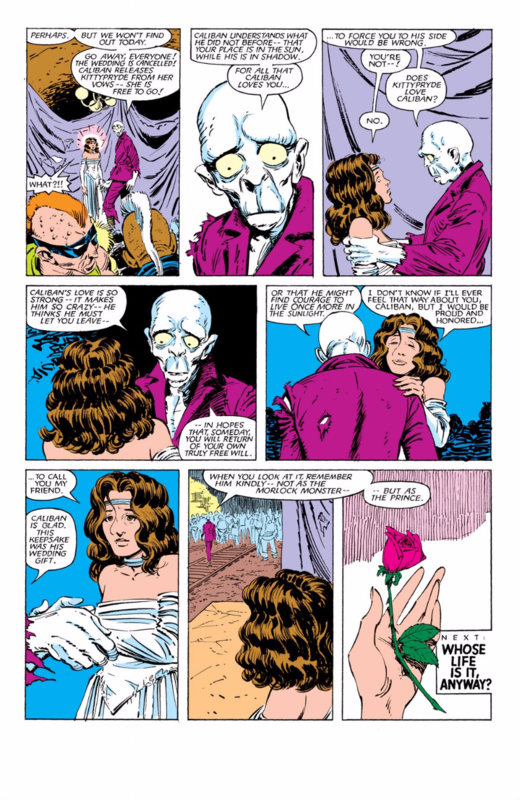 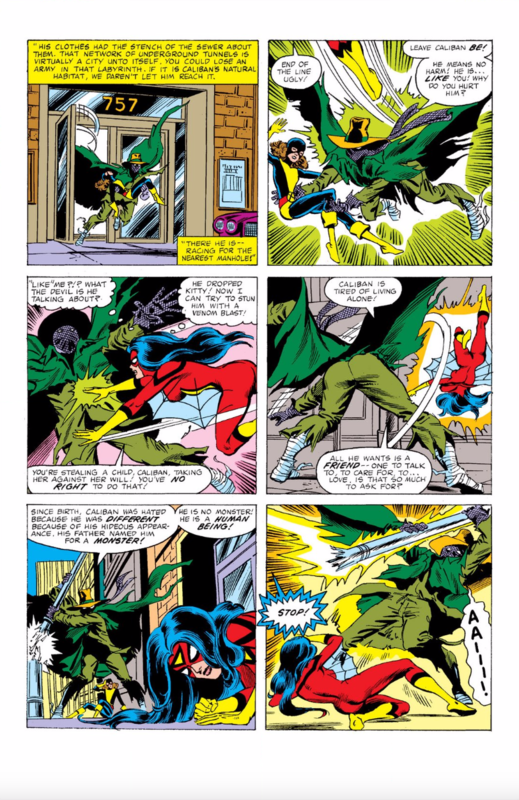 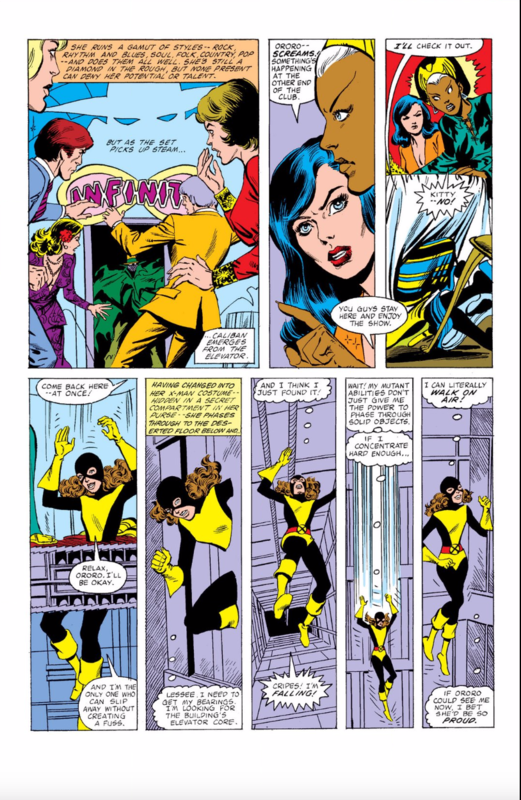 In #179, Kitty's dead body is discovered but Wolverine discovers its not hers by the scent. 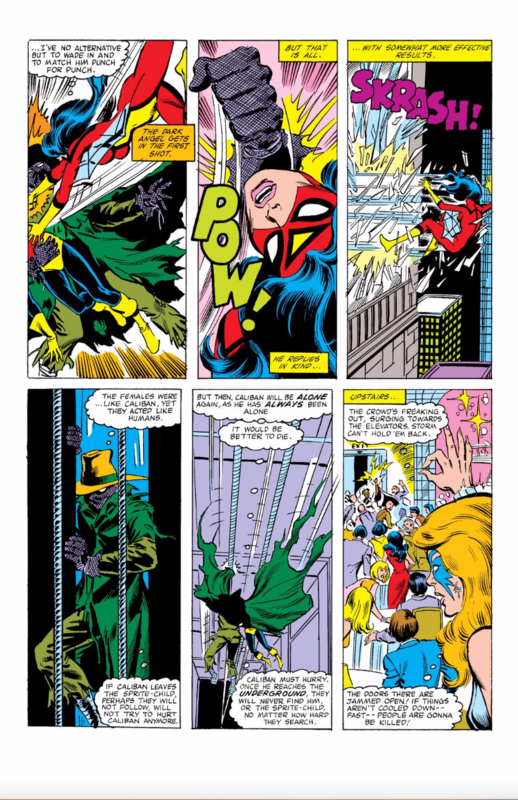 Kitty flees into the sewers. 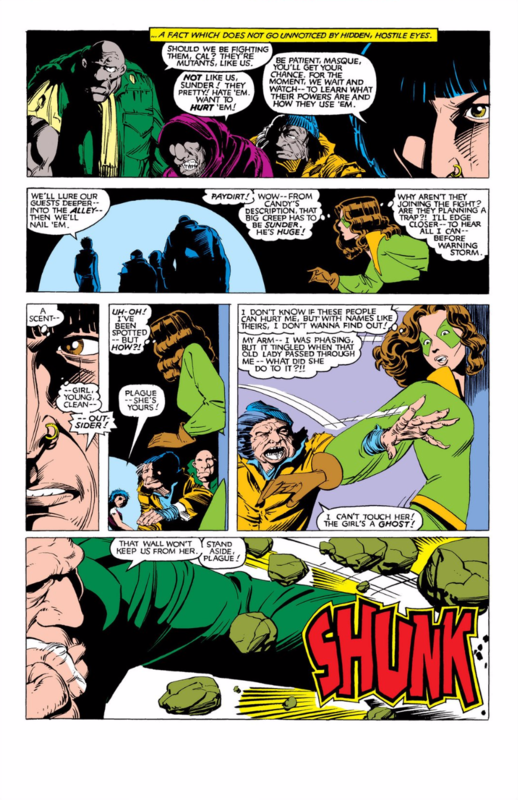 The X-Men eventually arrive to rescue Kitty but she tells them she's made her choice and asks for them to back off. 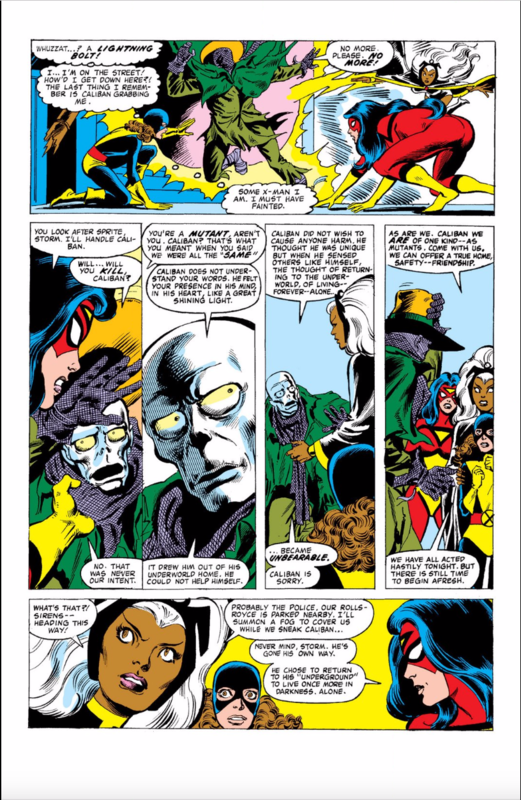 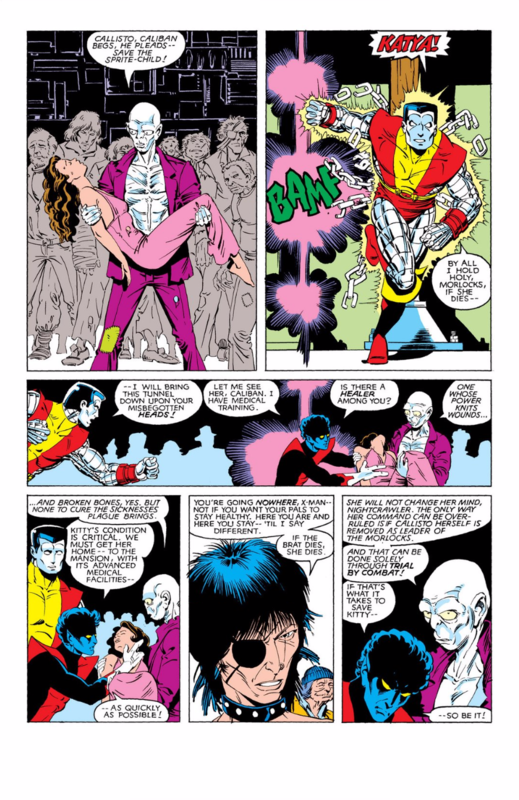 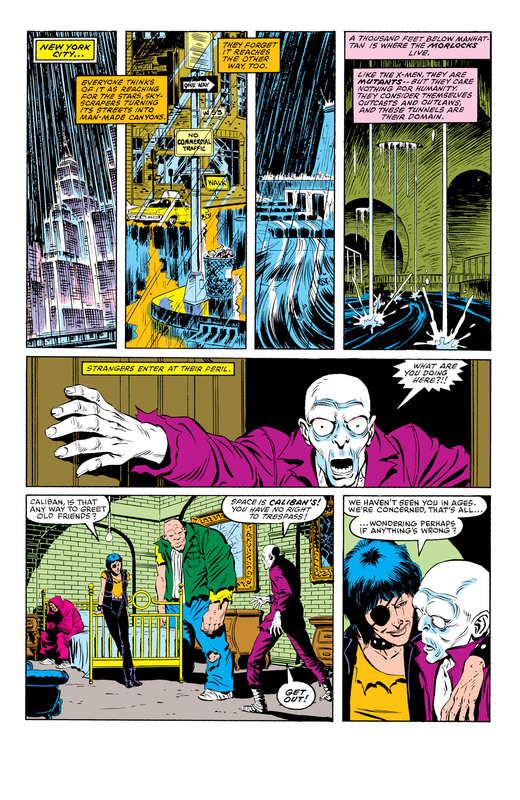 The Morlocks lend the X-Men their healer to save Colossus. 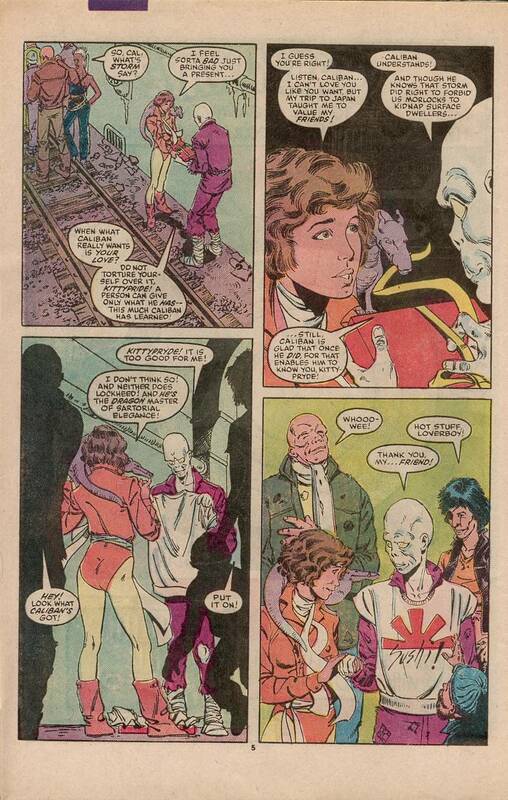 The two had one more scene together in Power Pack #12.